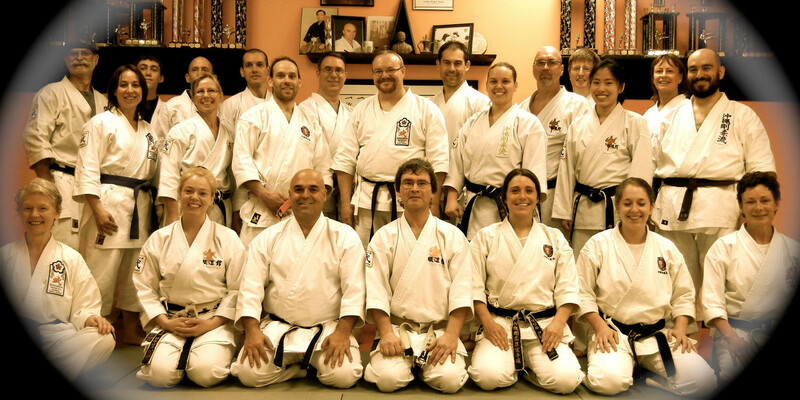 Eastwind Budo Life Centre has been in operation since 1995. We teach based on the principles of Movement, Morality and Etiquette upon which Martial Arts are founded. Okinawan Goju Ryu Karate – a traditional karate style using blocking, punching, kicking movement and kata. Yamanaka-Ha Shin Do Ryu Ju Jitsu – developed from the flowing art of Aikido and the locking art of Ju Jitsu. Shaolin Chuan Fa – a Chinese system based upon the movements of animals: Leopard, Dragon, Tiger, Crane and Snake. Okinawan Kobudo (weapons) – Instructions with Bo, Jo, Shindo, Tonfa, Nunchaku, Kama, and Sai. A total of 15 weapons are practiced. These systems are proven to be effective training methods to learn self-defence, increase self-esteem. Eastwind Budo Life Centre’s mission is to help all our students improve FOCUS, CONCENTRATION, SELF ESTEEM, STRENGTH (BOTH INTERNAL AND EXTERNAL), LEARN A NEW SKILL AND INCREASE SELF DISCIPLINE. Eastwind Budo Life Centre promotes authentic and traditional martial arts for our members established by the original ideals set down by our predecessors. We adhere to the strict principle of “doh” or “the way” of martial arts rather than focussing solely on technique and competition. To change the public’s perception of martial arts from one of violence to one of peace through setting a positive example and striving for a life of tolerance for others and their beliefs.